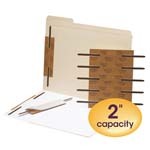 Here's a quick and easy way to subdivide materials within a folder or to keep papers in sequential order. 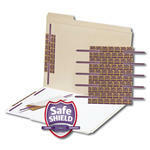 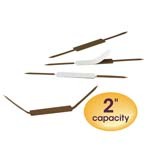 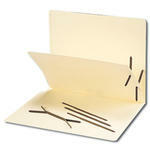 Self-adhesive fasteners can be added to any style of folder for added functionality. 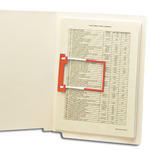 Smead self-adhesive fasteners are also handy for use in binders or report covers, on bulletin boards or anywhere papers need to be periodically posted.